Unexpectedly, this little expose of ours caused a bit of stir. There were a few practitioners who didn’t like hearing that their “go to” strategies might have some serious negative consequences. And too, there were a couple of pricing consultants who were none too pleased that we highlighted big problems with some of their bread and butter recommendations. The uncomfortable truth is that many of these common pricing strategies are only minimally effective under very specific circumstances. Moreover, almost all of them can have significant downsides that are rarely…if ever…discussed in the textbooks. And frankly, a couple of these strategies can be so destructive in B2B environments that they shouldn’t even be up for consideration. It’s hard to argue against the strategy of aligning prices to customers’ perceptions of value. In nearly any situation or circumstance, this strategy allows you to maximize sales without leaving money on the table. 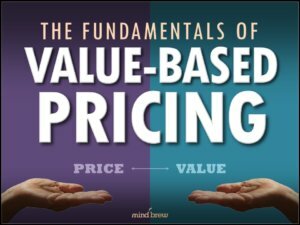 In fact, through these more targeted and deliberate alignments, a value-based pricing strategy can effectively accomplish what many of the other strategies purport to do, but without so many unintended consequences. To pull it off effectively, you have to do some homework. You have to develop a deeper understanding as to what different customer segments value and why. And then, you have to be able to credibly articulate how your offerings deliver more of whatever these customers value than the alternatives they consider to be viable. 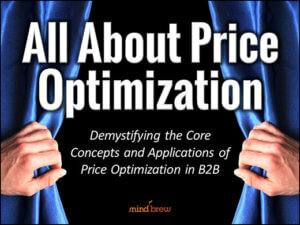 Simply put, while a value-based pricing strategy will be far more effective in most situations, the primary downside is that it’s not nearly as easy as just putting “Penetration Pricing” in slide deck as a smart-sounding way to obfuscate the fact that you’re just going to price 10% under the lowest competitor. Some of the strategies we discussed in the webinar are easy…but totally ineffective and often very destructive. Other strategies require quite a bit of effort…while still being largely ineffective and rife with unintended consequences. A couple of the strategies, however, are very effective…especially in combination…but here again, they require much more effort and thought. How do you develop great pricers and prepare them for other leadership positions in the company? In this interview, Greg Preuer discusses his team's intense, 48-week pricing training program.